Ian Nannestad has been editor of Soccer History magazine since 2002. He first became interested in the history of the game whilst studying for a degree at Birmingham University in the 1970s. At the time there was very little serious writing on the history of football, and his first significant contribution was a dissertation on the development of football in Lincoln to 1900 as part of his academic studies. Ian contributed historical articles to the Lincoln City programme for many years and with his brother Donald wrote two books on the history of the club: Who’s Who of Lincoln City, 1892-1994 (1994) and Lincoln City FC The Official History (1997). Later Ian had a spell as editor of the journal of the Association of Football Statisticians before establishing Soccer History magazine in 2002. 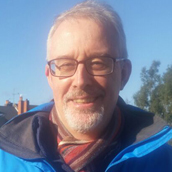 He has edited a number of books on the game and in 2004 he was awarded an MA by De Montfort University for his dissertation on the development of football in Lincolnshire between 1855 and 1881. Soccer History Magazine is printed on quality paper & available as a download. Soccer History has been a "must read” for lovers of game's rich past since its first issue. Its articles are always of great interest, well-written, and thoroughly researched. 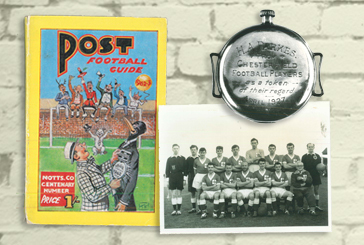 Any football historian would be well advised to subscribe to the magazine and keep a bookmark for the website in a folder marked 'essential. There was football before the Premier League! The game needs a forum for the glorious past, Soccer History does that perfectly. Articles are based on original research with much of the information being new work from published authors; most of the content is not available elsewhere, either in print or on the internet. The most comprehensive selection of football obituaries around – we cover players who have appeared in the Football and Scottish Leagues, those who played in wartime football and leading amateur players.